Children: Children prices for all ages. 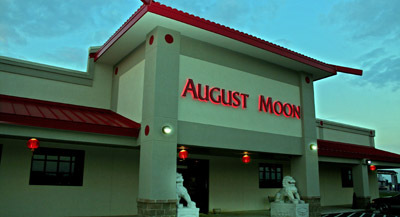 Out of respect for our guests, August Moon will not automatically add gratuities to any check of any size. Gratuities are greatly appreciated by our servers.